Lisa Specht has extensive experience representing a variety of national and California-based companies and providing strategic advice and representation on significant government contract, business, transportation, land use and public policy issues. Her particular focus involves assisting clients at the intersection of law, business, and government. She has broad-based experience representing clients seeking government contracts and awards as well as bid protests. Her practice also focuses on obtaining land use entitlements and environmental approvals for a variety of development projects. She regularly appears in hearings before legislative bodies, agencies, boards and commissions. Lisa represents a variety of government contractors, businesses, developers, and government agencies. A representative list includes Raytheon, Maximus, Unisys, the Los Angeles Unified School District, the County of Los Angeles, the Related Companies, Playa Capital (Playa Vista), Bed Bath and Beyond, Duty Free Shops of North America, Delaware North Companies and the Los Angeles County Metropolitan Transportation Authority. Lisa previously served on the firm's Management Committee, Board of Directors and Compensation Committee. She has been called upon for various civic assignments, including chairing the Los Angeles Memorial Coliseum Commission and serving as a City of Los Angeles Recreation and Parks Commissioner. She also served as Chief Counsel for the Democratic National Convention in Los Angeles in 2000. 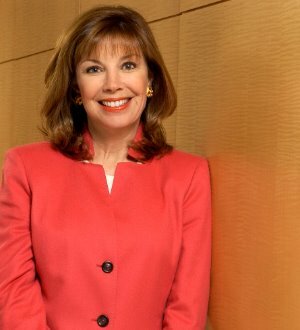 Lisa is currently serving as chair of The Music Center of Los Angeles. Named by California Law Business as one of the "Top 100 Attorneys in California" and as one of the "Top 100 Influential Lawyers in California"
Named by Los Angeles Business Journal one of the "Most Prominent Attorneys in Los Angeles County"
Named by Los Angeles Magazine as one of the "Top Attorneys in Southern California"
Named by Lawdragon as on of the "500 Leading Dealmakers in America"